The operation was officially sanctioned in 1953, was reduced in scope in 1964, further curtailed in 1967, and recorded to be halted in 1973. There remains controversy over whether this operation ever ended, or continues presently. The program engaged in many illegal activities, including the use of U.S. and Canadian citizens as its unwitting test subjects, which led to controversy regarding its legitimacy. MKUltra used numerous methods to manipulate people's mental states and alter brain functions, including the surreptitious administration of drugs (especially LSD) and other chemicals, hypnosis, sensory deprivation, isolation, verbal and sexual abuse, and other forms of torture. They exported experiments to Canada when the CIA recruited British psychiatrist Donald Ewen Cameron, creator of the "psychic driving" concept, which the CIA found interesting. Cameron had been hoping to correct schizophrenia by erasing existing memories and reprogramming the psyche. 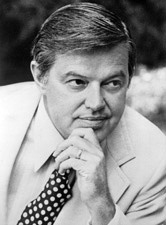 He commuted from Albany, New York, to Montreal every week to work at the Allan Memorial Institute of McGill University and was paid $69,000 from 1957 to 1964 (which would be $603,580 in today's currency, adjusting for inflation) to carry MKUltra experiments there, the Montreal experiments. 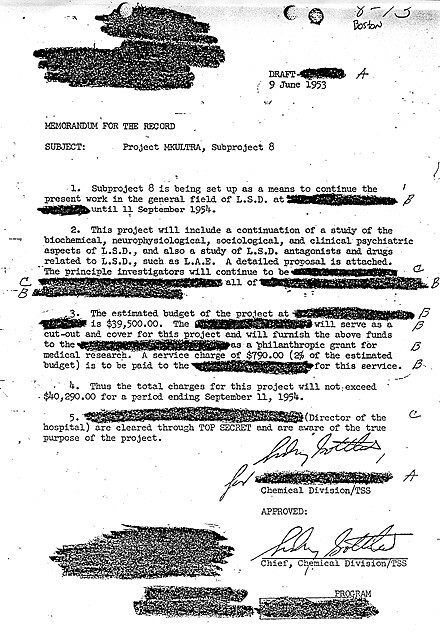 These research funds were sent to Dr. Cameron by a CIA front organization, the Society for the Investigation of Human Ecology, and as shown in internal CIA documents, Cameron did not know the money came from the CIA. In addition to LSD, Cameron also experimented with various paralytic drugs as well as electroconvulsive therapy at thirty to forty times the normal power. His "driving" experiments consisted of putting subjects into drug-induced comas for weeks at a time (up to three months in one case) while playing tape loops of noise or simple repetitive statements. His experiments were often carried on patients who entered the institute for minor problems such as anxiety disorders and postpartum depression, many of whom suffered permanent effects from his actions. His treatments resulted in victims' incontinence, amnesia, forgetting how to talk, forgetting their parents, and thinking their interrogators were their parents. so we named a major airport after this guy??? WTF???????? 1. so we named a major airport after this guy??? WTF???????? still pissed about the druggings. i'd never heard of this program until i read this thread. amazing the stuff that just gets swept under the rug in this country. could it be these are the alien abductions that occur? If they're stripping/adding memory; it could explain it. in the overthrow of the democratically elected leader of Iran and the installation of the Shah in 1953. Look at the mess that would eventually create. Edit: Sorry, this should have been posted to response #3.
volunteered as part of MKUltra. I guess he liked it.